“I have been training at Phoenix for a while now and I am so pleased with how it’s all going. I never expected to lose so much size in such a short space of time. My stomach has dropped by 12cm but more surprisingly my thighs have dropped by 13cm each! What became apparent during my time at Phoenix was that I had a hormonal imbalance which was leading to fat gain in my thighs. 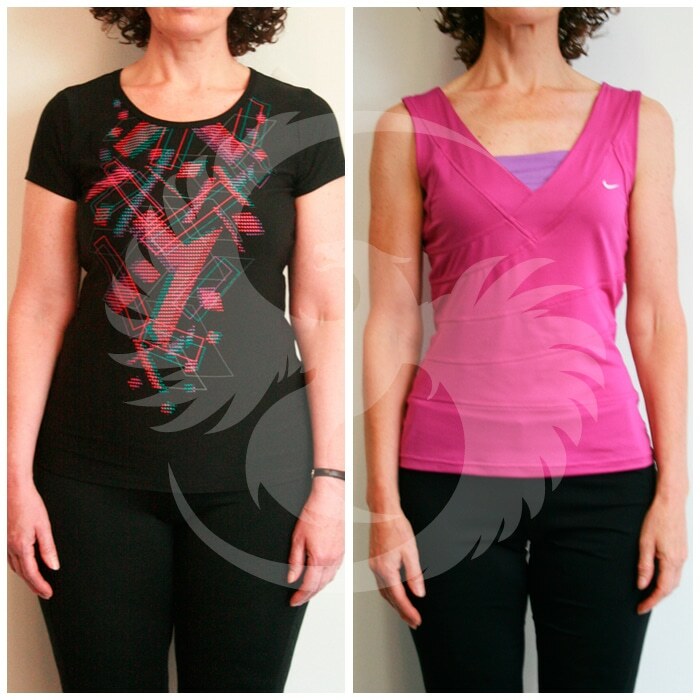 The guys at Phoenix were able to determine the issue by measuring my fat storage sites and with small lifestyle changes and some supplementation I was able to lose a whopping 19kg’s in just 25 weeks. Deborah came to us in March 2014 and wanted to lose weight. Not only this but she wanted to feel alive again and wanted to go on holiday in the summer and feel comfortable in her bathing costume. We began straight away and she dropped a lot of size quickly. We hit a plateau in June and we established that her hormones were preventing fat loss. Once we were able to determine the problem, we were able to structure her diet, lifestyle and training in such a way that the problem resolved itself and fat loss started again. Our comprehensive measuring methods are what allowed us to achieve such great results so quickly. Deborah still trains with us and we are now steady at 23% body fat (having started at 38%). Deb doesn’t want to lose any more weight and so we are now focussing solely on strength. She is now able to deadlift 50kg’s comfortably and we are now focussing on her structural balance around the shoulder.